How is buying a new construction home different than buying a resale home? I’ll go over six important points today. 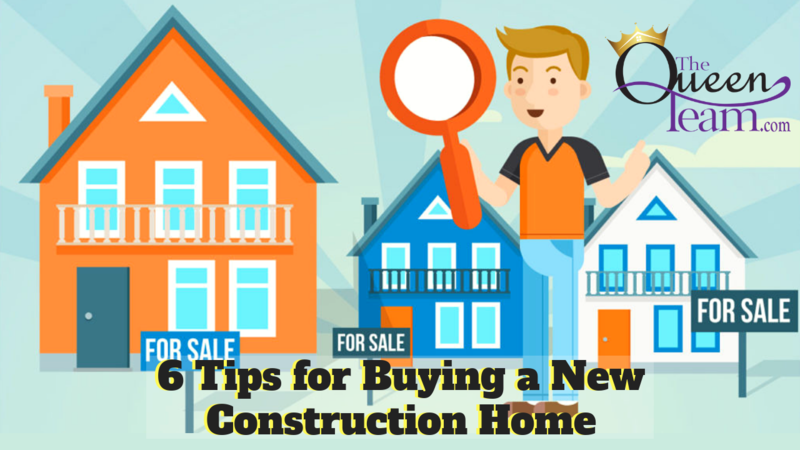 There are a few things that every homebuyer needs to know about new construction. I’ll go over six of them today. New homes may not be listed in your local MLS. Unlike regular sellers who list their homes with local real estate agents, home builders often have their own sales employees working for them on the side. They do this to have more control and cut costs. New homes are often sold before they’re built. The builder will generally get financing lined up, map out the construction and sales process, and try to sell you as many homes as possible before they even start building the one you decide on. The first buyers may get the best discounts. Early in the sales process, there may be room to negotiate the sales price down. With that reward comes a potential risk; by being an early buyer, you are committed to the project. Builders don’t have a personal connection with the home. It’s just a numbers game for them. They are not focused on what’s good for you. They are focused on the spreadsheet rather than sentiment. They want to make sure that you can qualify for the loan, and they set prices based on inventory. You may be able to get some free upgrades instead of reducing the price. Discounts may be available in the form of upgrades. If you’re nearing the end of the sale cycle and the main homes have already been sold, the builder may be willing to negotiate on upgrades. If they reduce the price of your home and the sale closes, then the sale price becomes public record. If they offer you an upgrade package, such as swapping carpet for hardwood floors, there’s no way to track that in the public record. Builders do like working with Realtors. Believe it or not, it’s in their best interest for a professional Realtor to be working with you. Remember, the salesperson represents the builder. They are looking out for the builder, whereas I will look out for you.